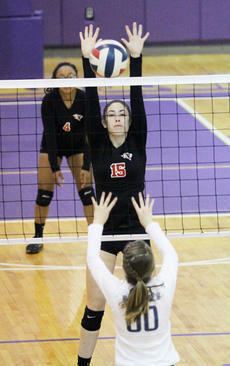 TNHS’ Reed signs on with Johnson U.
Thomas Nelson senior Nicole Reed could best be described as a trailblazer. She was a member of the 2018 Generals softball team that was the first in school history to compile a winning record as well as the first to advance to the regional tournament. Reed was the first Thomas Nelson bowler to place as high as second in the regional tournament and the second to advance to the state tournament. Thomas Nelson stands at 2-0 in softball district play after jumping out to a big early lead and holding on Thursday to beat Bardstown, 10-6. 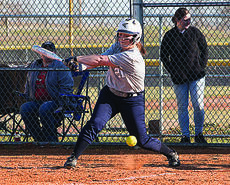 Thomas Nelson’s Allyson Newton continued her hot hitting going 2-for-3 with a single and a double to go with two runs scored and two RBIs. Sydney Gagel and Payton League each scored twice for the Generals. For Bardstown (3-5, 0-1 dist.) Maria Young doubled twice and drove in two runs while scoring once. Rory Kiser, Keyonna Scott and T’Keyeh Young each had two hits in the game. 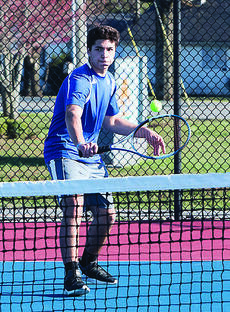 Thomas Nelson at Edmonson Co.
Thomas Nelson at Nelson Co.
Thomas Nelson may have lost the nucleus of both its boys’ and girls’ bowling teams from a year ago, but coach Kris Cecil did not return to find the cupboard bare. 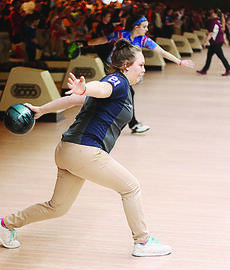 The Generals may have two bowlers who are among the best in the region. Senior Nicole Reed has already proven it. She had the top qualifying score in last year’s regional tournament before finishing second in the step bracket. Reed has rolled a career-high 240 earlier this season, and is hoping even better things are on the horizon. 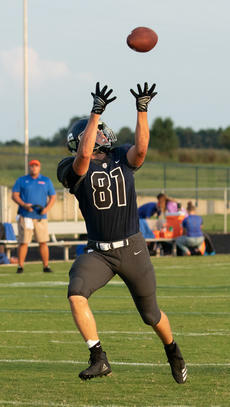 Thomas Nelson senior football player Ben Hite is this week’s nominee for The Kentucky Standard/PLG-TV 13 Student-Athlete of the Week. Ben carries a 3.8 GPA, is involved in the school’s Agriculture Land Lab club, and plans to attend Murray State University to study agriculture systems technology. Kentucky Standard sports editor Peter W. Zubaty had a few questions for Ben to better get to know him. PZ: What got you started in your sport? Bethlehem captured the boys 5th Region All A soccer championship with a 4-1 victory over Fort Knox Monday night at Lally Field. Four different players scored for Coach Jody Spalding’s squad. Logan Ballard put the Eagles on top with his goal off of an assist from Jake Walker. Ballard was on the giving end with his assist of Camden Porter’s goal that made it 2-0. Caleb Debold and William Patrick also tallied scores as the winners evened their record at 3-3. 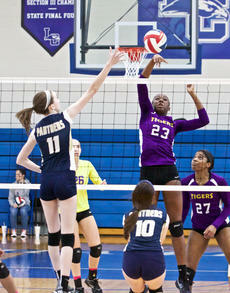 There have been a lot of good times surrounding the Bardstown volleyball program these past few years. Once the doormat of the 19th District, the Tigers gradually ascended to the top, making history along the way. In 2016, Bardstown defeated Bethlehem for the first time in school history en route to a surprise appearance in the 5th Region finals. Then, a year ago, they claimed the school’s first-ever district championship. The players and coaches who transformed the program are gone now, leaving behind the memories. When Zach Allender took over as boys’ head basketball coach last year at Nelson County, he said he did so because he wanted to “give something back” to his alma mater. Now, he’s getting a chance to do that again, taking over the Cardinals’ volleyball program after the school struggled to locate a replacement for Keyata Harman, who took over the Bardstown program after three years as head coach at Nelson County, and several more as an assistant.